Spain is fabulous family destinations and there are loads of wonderful hotels to suit all ages from cool chateaus to small boutiques to hotels with amazing kids’ clubs and onsite activities. I’ve used my own personal experiences and fellow mums’ recommendations to get the lowdown on some family hotel gems across Spain. Here are 7 fantastic hotels for families worth checking out on your next getaway. The hotel is a newly built complex located in Puerto del Carmen, which is one of the main tourist areas on the island of Lanzarote. The hotel is located 200m from the beach ‘Los Pocillos’. Further along are the popular beaches – the sandy Playa Grande and Matagorda. Its family-friendly credentials are immediately obvious, with five pools (including an adults-only one!) and the accommodation types to appeal to families. Suites have separate bedrooms, a living area with a sofa bed and the all-important tea and coffee facilities. You can choose packages ranging from breakfast only, half or full board. Children have a special designed mini buffet at their height complete with mini table and chairs. Older kids have the option of also eating in the restaurant if they are aged 13 and over. Entertainment wise, there is a day and nighttime animation team, with a popular kids’ club, playground and games room. Do you think good things come in small packages? If so, you’ll like Caserio del Mirador. How does a relaxing retreat where children can splash in the pool, feed animals, play in the sandpit or playground, and help themselves to countless toys sound? This small hotel consists of just six mini apartments in one beautiful house just 30 minutes from Costa Blanca in Jalon. Jalon is set in the countryside with olive and pine trees, intermingled with orange groves and vineyards. The closest airport is Alicante although Valencia is only an additional 20 minutes away. You will need a hire car to get there and around, but you don’t need to travel too far to explore the area. In fact. you may not want to leave the hotel at all. An added bonus for those with younger kids: This boutique hotel provides baby equipment including potties, strollers, changing mats, feeding equipment, high chairs, armbands and inflatable toys. 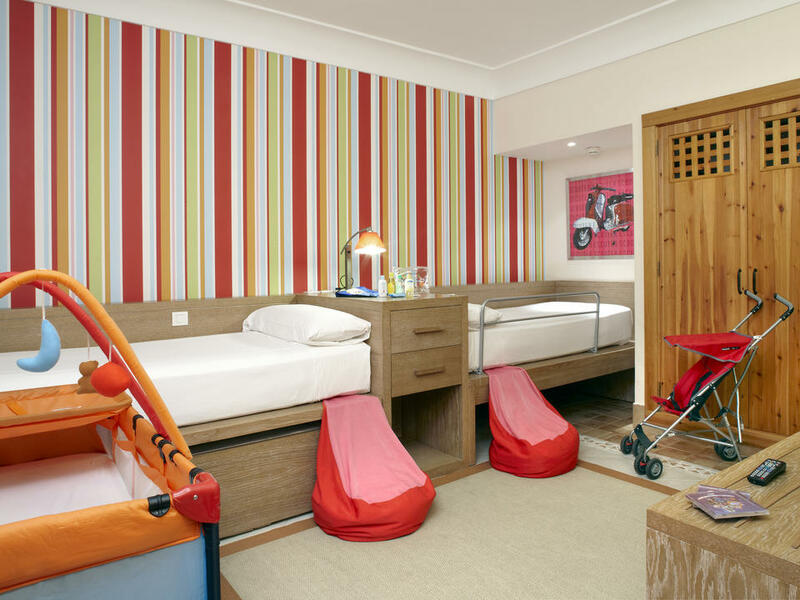 The rooms all come with a box of toys and books matched to your kids age too! Noteworthy: The hotel has a small farm! Andalucia is a region rich with stunning architecture, farmland and rivers and La Bobadilla is one of the best places to stay when there. The hotel, set in the hills of the Sierra de Loja, between Granada and Costa del Sol, is all about the ‘slow travel’ vibe. It has 67 rooms with a personalised kids’ club and a small farm with donkeys and a pony, the all-important pool, a lake with turtles, a playground and tennis court. It is absolutely perfect for animal-loving tots like mine. If you are looking to get away from it all, then this peaceful location might be just the tonic. The beachfront resort Estival El Dorado promises relaxation for parents. ‘We had 10 nights of bliss,’ says Maria, from Happy Mummy. The resort lies south of Barcelona (9km from Reus Airport). ‘They had a baby pool, a large pool and a huge splash park. There was a private beach, plenty of lifeguards and defibrillators were everywhere. We also enjoyed the amazing views and the kids’ club — which meant we got to chill by the adult-only area occasionally.’ For those who like to explore, the local town is a 30-minute stroll away. 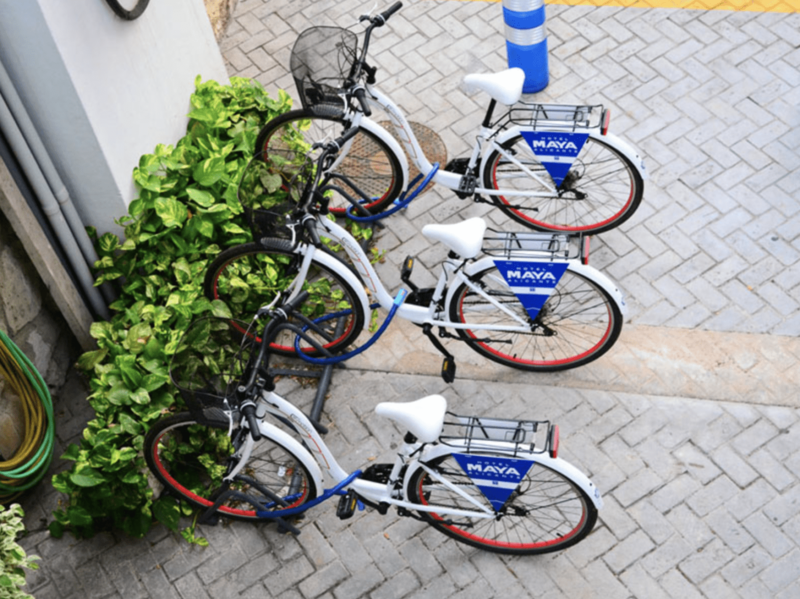 Alternatively you can hire bikes from the hotel. Until you get to Cambrils, there are no cars allowed, just walkers and cyclists – which helps if you have kids that like to have a run-around. Friends of mine enjoyed the Princess Yaiza suite hotel in Lanzarote. There are 385 rooms and suites, 8 restaurants, 2 pools just for kids and loads of amenities. 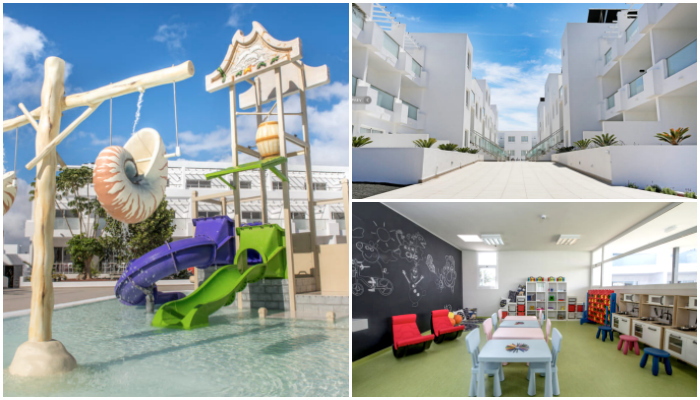 For a luxurious retreat, with delicious food, an engaging team of entertainers, kids’ club and a creche they found the Princess Yaiza met all their requirements. They particularly enjoyed their large and spacious suite with a kitchenette, which gave them even more flexibility about when/where to eat. Promenading to the beach, marina and local town offers a change of scenery if you can drag yourself away from the pools, spa, soft play, playground, tennis courts and and freshly squeezed juices by the pool. The Esplendido overlooks the breathtaking Port Sóller, the traditional Mediterranean town nestled between mountains, olive groves and orange trees. The hotel, built in 1954 and fully renovated in 2005, has vintage style with Scandinavian touches. The Espendido is a win for families due to the little touches. Staff will freshly prepare baby food on request, and kids can even have manicures and pedicures. There is a heated main pool with kids’ shallow section and over 1,000 movies to choose from for the in room DVD player. The beach is also perfect for little ones with gentle waves. 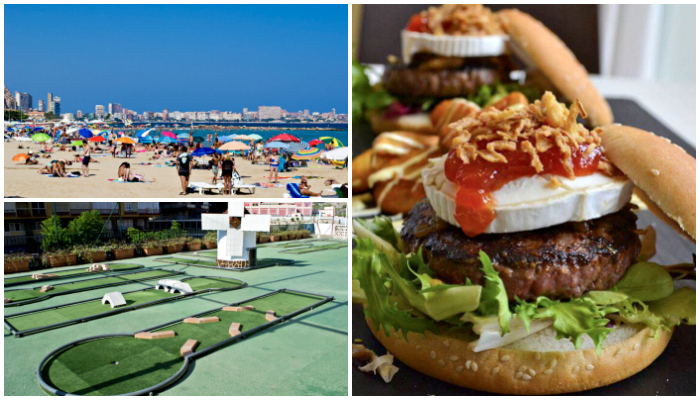 For more things to do with kids in Majorca see here. Puerto Pollensa is often the destination mentioned most with many families taking day trips, usually on the antique orange train to Soller, but this is a beautiful retreat in its own right. The town has independent shops and is relatively untouched by mass modernisation. 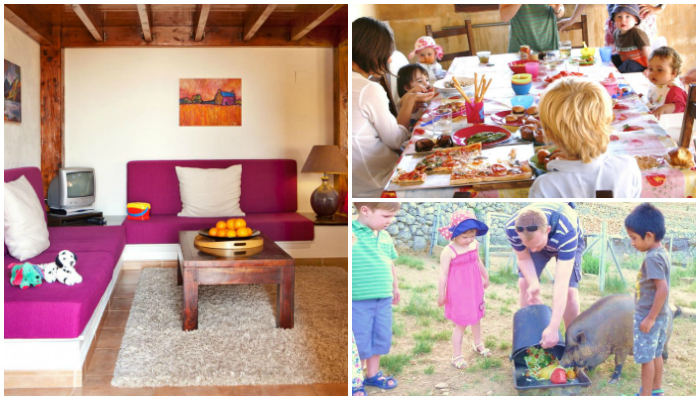 Have you visited any of these family-friendly hotels in Spain or others you loved? Leave a comment with your favourite! Carrie used to be a long haul flight attendant and began travelling overseas as a family when her youngest was 11 weeks old. Now her eldest (6)has completed over 60 flights and her youngest (4) 35 to various places over the globe. Her family travel blog, Flying With A Baby covers everything from preparation to arrival, family holiday destination guides, family friendly hotel/resort reviews, product recommendations, airline reviews, holiday tips, activities and much more. Some great suggestions, we stayed at Pirates Village in Majorca last summer and it was so family-friendly. It was only 3* so nothing fancy, but it was perfect for children and very safe, clean and friendly. We are big fans of camping in Spain and then splashing out on a night in a Parador. Not as expensive a treat as you might think! I love the idea of the Suite Hotel. We’ve also loved staying in Paradores the buildings are also either very historical or in a stunningly cultural location. 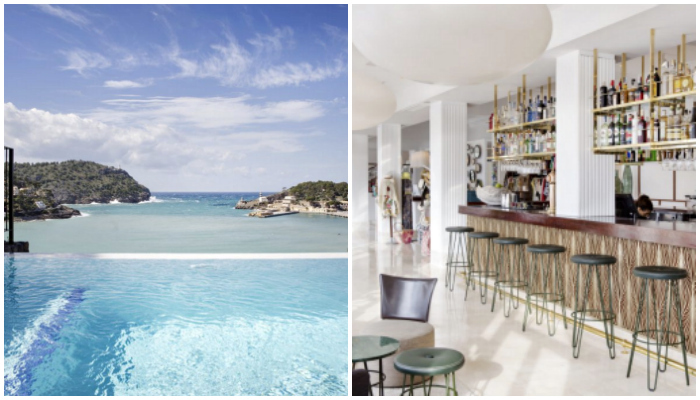 Esplendido Hotel, Majorca looks amazing that is an Island we have never visited, Spain has so much to offer families of all ages.